On The Strand, at Port Elliot, is a building that dates back to the 1850's when it started life as the Port Elliot General Store. No doubt a hub of activity back then it's still a busy hub in it's new life as a cafe. 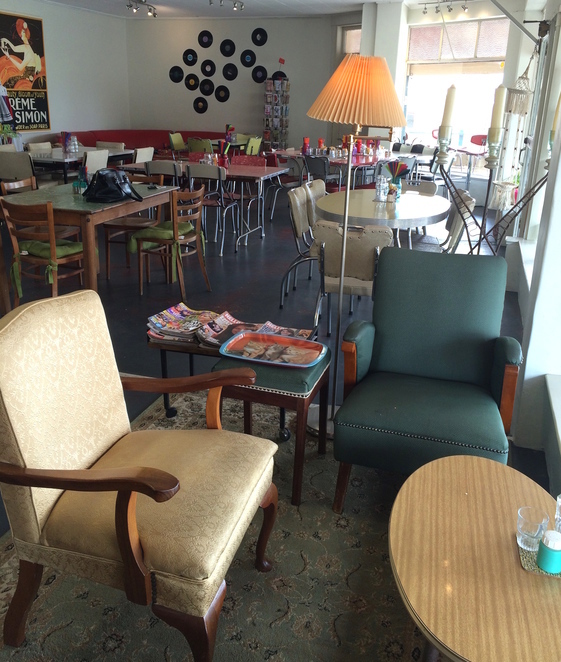 Retro Vibe is a funky, retro-inspired cafe and it is open from 9am until 4pm-ish every single day. 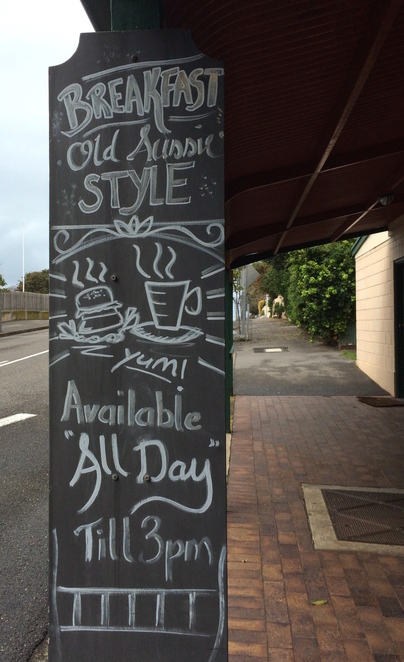 'All day' breakfast is offered as well as toasties, wraps, focaccia and wraps for lunch. There's also a specials board which often features retro dishes made popular in the seventies. The cafe is spacious and offers a choice of seating areas including a couple of cosy nooks and an outdoor deck. There's plenty of formica and vinyl furniture to set the scene as well as vinyl spinning on the turntable. The cosy lounge area is inviting and comfy; perfect for reading the newspaper. I visited recently for coffee and fluffy scones with jam and cream. All served on retro crockery, of course. There's a shopping opportunity here also as Retro Vibe stocks locally made scarves, hats, bags and other accessories as well as retro homewares. Where: 31 The Strand, Port Elliot. SA.